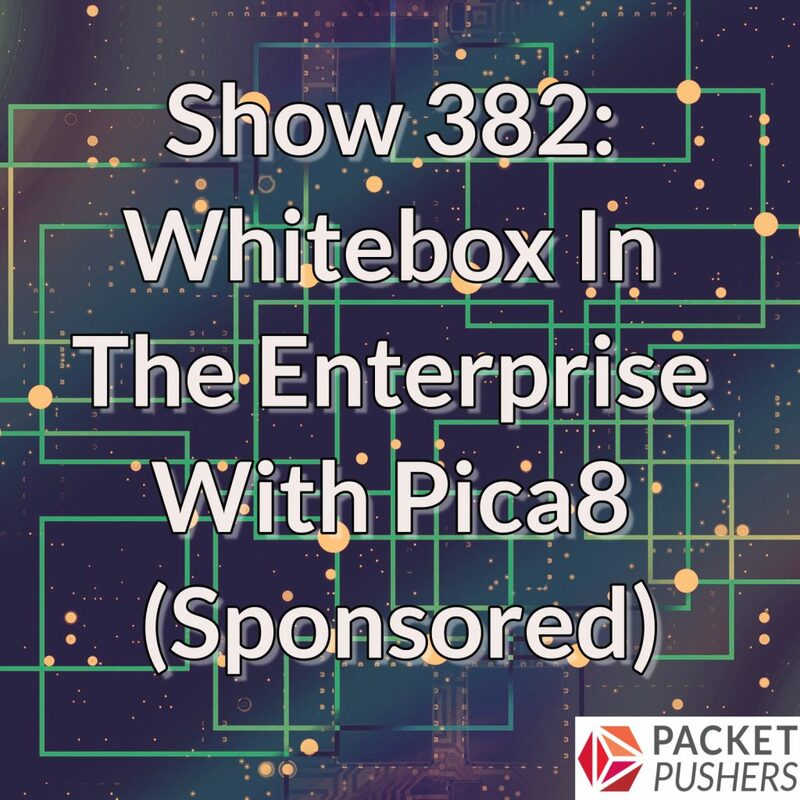 On today’s show we explore whitebox switching in the enterprise with our sponsor Pica8. Pica8 makes a network OS for data centers and enterprises, which customers can run on a variety of third-party switches including Dell, HPE, and Edgecore. Our guests are James Liao, CEO and co-founder of Pica8; and Sharad Ahlawat, VP of Technology. We get details about Pica8’s switch OS, called PicOS, and find out how Pica8 differentiates itself from other OSs. We also talk about how SDN has to change to be useful, such as targeting specific use cases. We look at the state of the whitebox market, the role of open source, and why Pica8 is shifting its focus to enterprise customers.